As a travel writer, it may not be such a “stretch” for you to sell travel. Think about this for a moment: if a person is going to purchase a travel package, book a flight or hotel reservation, wouldn’t it make sense to speak with an experienced traveler? Your knowledge of travel complemented with your travel articles will make you a success in the industry. Not to mention the extra money in your pocket! To sell travel, you could work for an established travel agency. Salaries vary from agency to agency. Some agencies pay a straight commission while others pay hourly/salary plus commission. Another option is to sell travel from your home! You could start your own travel website or work as a contractor for an established online travel agency. Set your own hours, be your boss, and watch the “money roll into” your bank account. Outside Agent. Interested in becoming a “home-based” travel agent? Outside Agent created a “complete home-based travel agency program.” Find out if this program is right for you. Only Way To Travel. Not only find out how to sell travel but discover how to sell travel on the internet. If you prefer, you can start your own travel online agency. 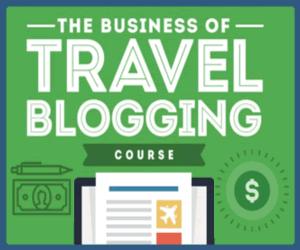 If you enjoy travel, make double the money by selling travel along with your articles. Travel and writing about it are fun ways to make money. Start your travel career today! Travel to the location you are writing about. Take plenty notes and, if you choose, take pictures. FYI: pictures enhance a travel article. 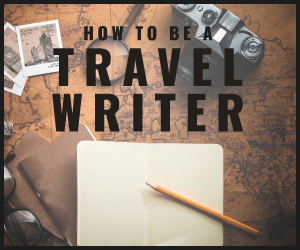 Keep your travel article to 500 to 800 words. Shorter articles are easier to sell. Market yourself to editors of newspapers and or magazines who hire freelance writers. Ask for the opportunity to discuss your article. Call, email, and organize a database of names. Follow a publication’s guidelines for submission and submit your article to the editor. Make sure you have the correct spelling of the editor’s name. Sell your articles to other publications such as an online magazine.